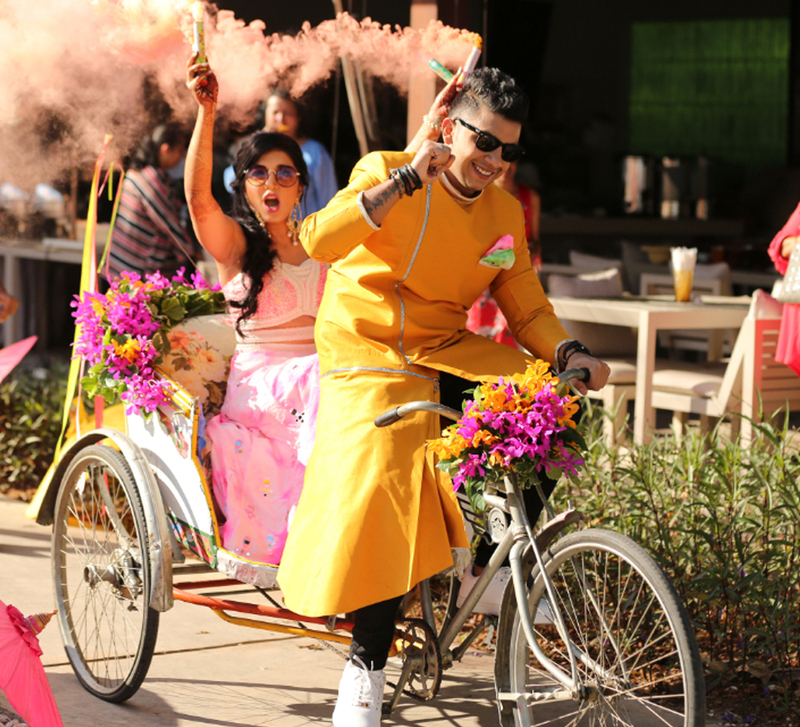 The wedding ceremony of friends turned life partners - Chris and Pratiksha was fun, colourful and just as remarkable as their love story! Sometimes you have to look far ahead for love, and sometimes it's right next door. Pratiksha and Chris were neighbors from the time they were in school. Great friends, Chris even tried to set Pratiksha up. But then, better sense prevailed. Chris mustered up the courage to confess his feelings to Pratiksha 12 years ago. 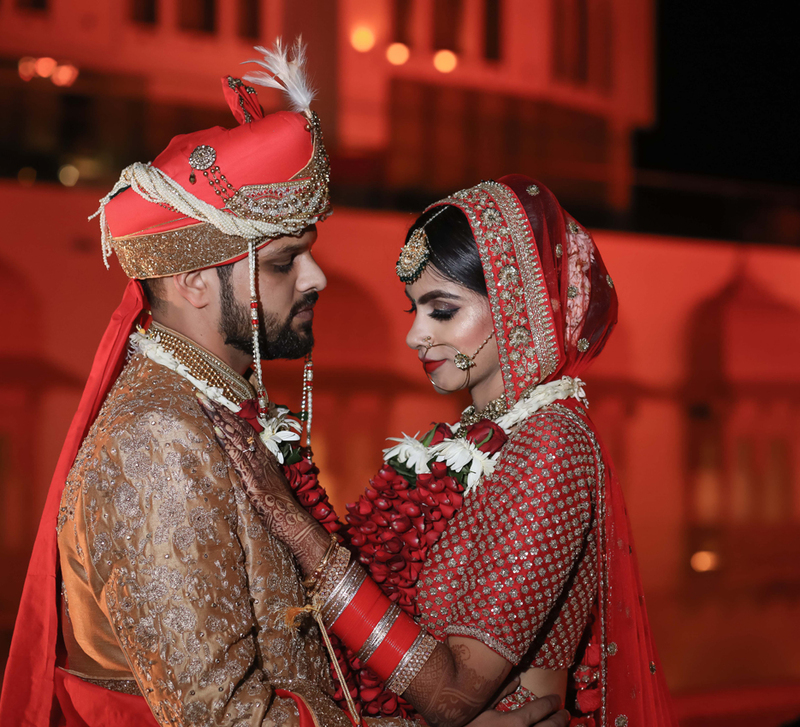 Their wedding marked the beginning of a new chapter of their love story as WeddingSutra Favorite - Kodoclicker, captured their happiest moments! 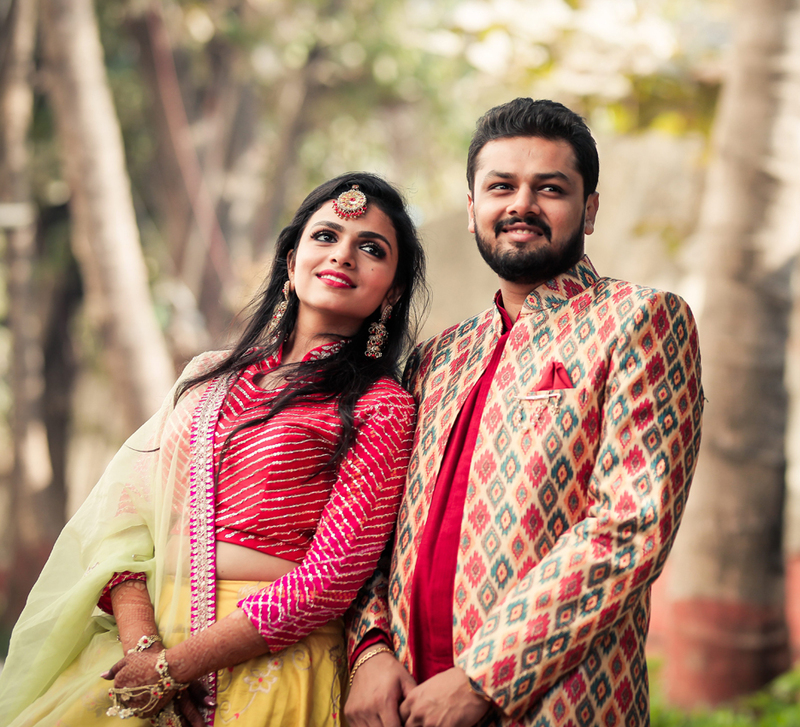 Like a good old Bollywood movie, Chris and Pratiksha grew up as neighbors and classmates, prepping for exams together, sharing notes and even trying to find each other dates. It was during their board exams though that Chris said three little words to Pratiksha. He didn’t give her a chance to respond to his ‘I love you’ on the telephone. He hung up! But it worked because a few months later, they began seeing each other. The couple wanted a wedding that was accessible to their guests but far from Nashik’s madding crowds. So they chose The Cobble Street for their Hindu wedding, followed by a Catholic wedding at St. Mary's Forane Church. They hosted their grand reception at the Hotel Express Inn. The haldi was the first time the groom ever experienced one, so clearly he was in for a treat! The bride's family and the couple’s friends got crazy and broke the dance floor. Yellow marigold blooms brightened up the entire set-up and what stood out was the floral photo booth for the guests. 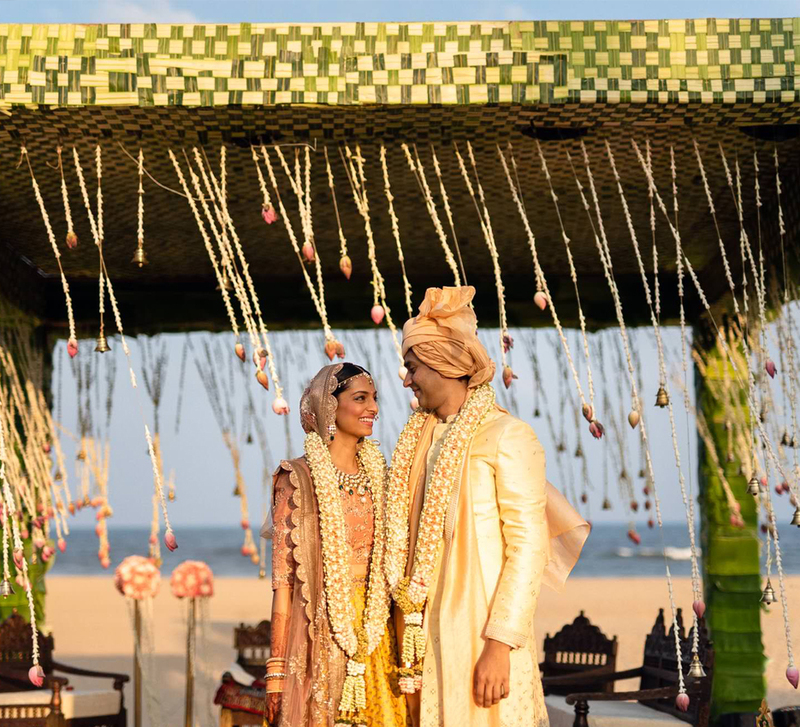 The bride shares, “We always wanted to get married by the beach but that wasn't an option in Nashik. So we looked for a place away from the city crowd. The Cobble Street is truly a beautiful location. It has green lawns, a mini-theatre and lots of murals on the walls. “Envision your dream wedding and write down all the details; venue, guest list, menu, wedding attire, jewelry, pre-wedding shoot – everything you can or have imagined. Belonging to two completely different religions (Catholic and Hindu) and speaking different languages (Malayalam and Marathi) we had our challenges with almost everything. No matter what the odds are and no matter what everyone else says, your love for each other will help you get through.